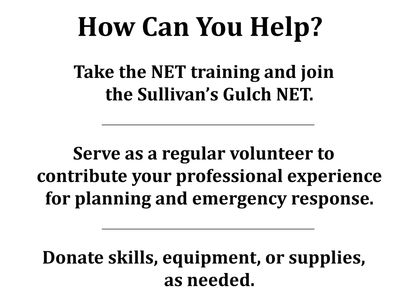 Our Sullivan’s Gulch NET has begun planning an outreach project to help neighbors get more prepared for an emergency. More information on our Block Power program to empower and prepare neighbors will be forthcoming later this summer. We’re thrilled about an upcoming huge expansion of our six-member team. 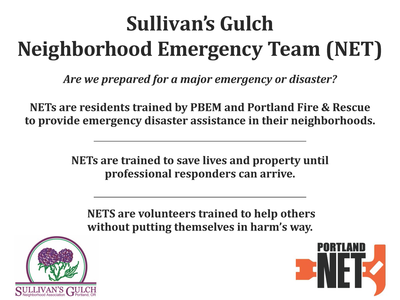 Twelve additional neighbors have signed up for the upcoming 30-hour NET training provided by the Portland Bureau of Emergency Management (PBEM). We look forward to welcoming all our new NET members! 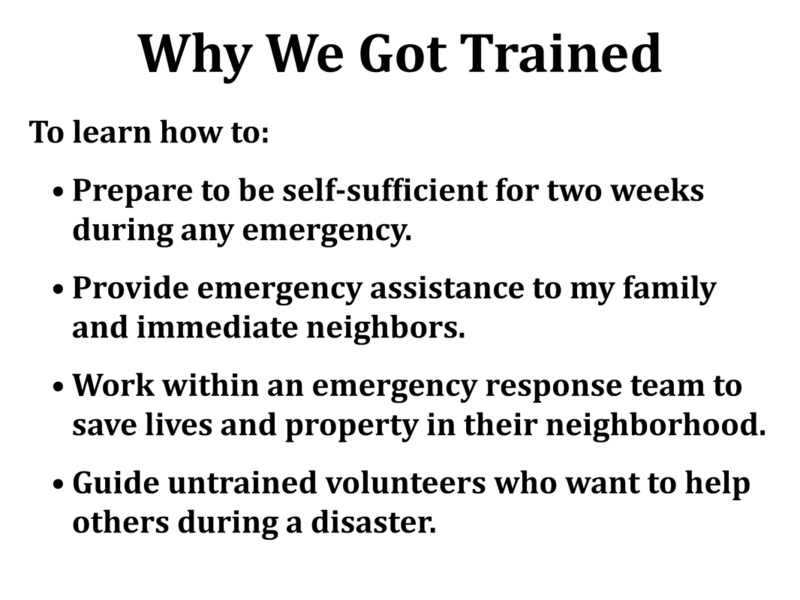 In addition to these new certified first-responders, we are also looking for volunteers with professional skills that we may need in an emergency or to help us to organize the neighborhood to be ready for whatever happens. Your participation is truly valuable to the entire neighborhood! Are you ready? 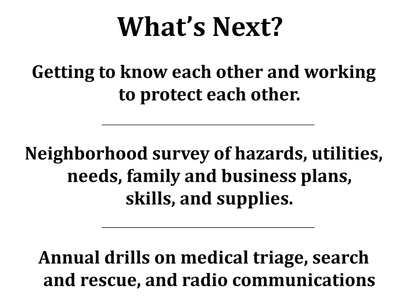 Are you prepared for a major emergency or disaster in our area? 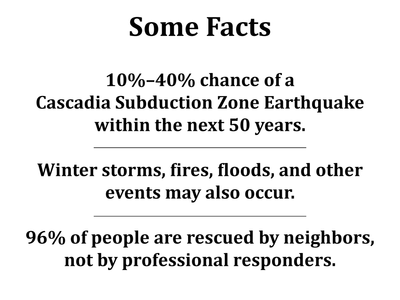 Many of us already know about the threat of a Cascadia Subduction Zone earthquake and its potential for massive damage in our area. But we should also be prepared for a large wind or ice storm, fire, flood, or chemical exposure. 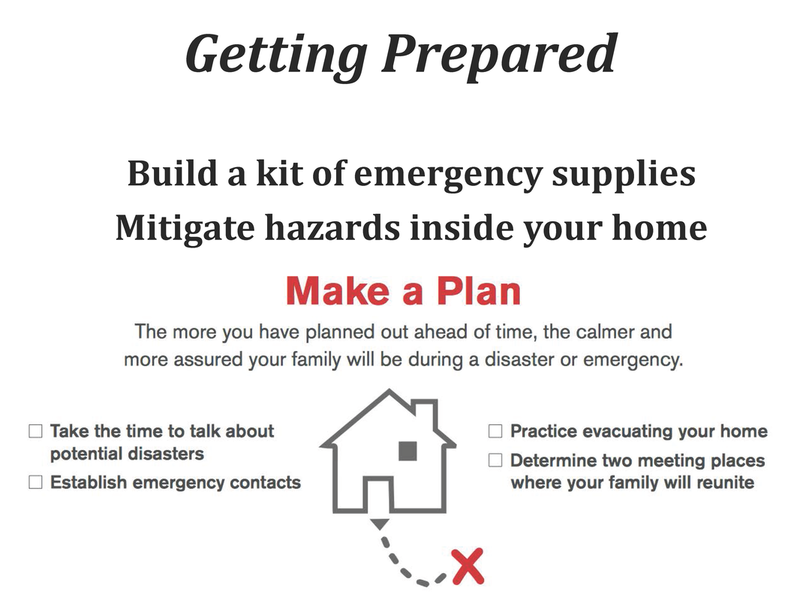 Many of us have begun making preparedness plans for ourselves and our families, building emergency kits with water and food, and mitigating risks inside our home or building. Everyone should continue to educate themselves on how to prepare effectively. The more you prepare for the Big One, the less likely it will happen, right? At the very least, the more prepared you are, the less worried and the more confident you will be. 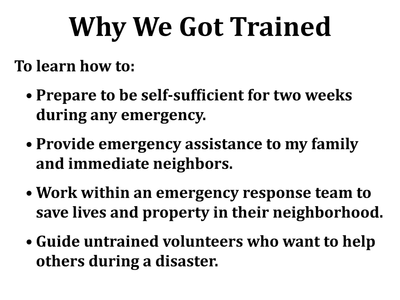 But what professional emergency response teams have learned is that the greatest asset we have in such an emergency are our neighbors. 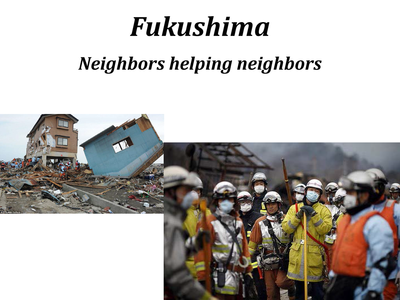 The most effective immediate response comes through neighbors helping neighbors. The City of Portland’s Bureau of Emergency Management (PBEM) created the Neighborhood Emergency Team or NET program to train and support neighborhoods to prepare for and respond to a citywide or regional emergency. 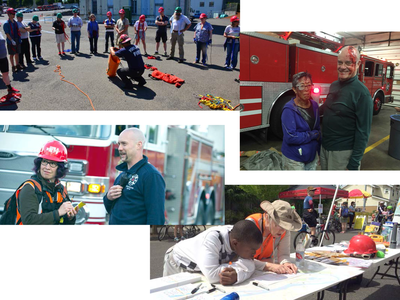 Neighborhood Emergency Teams are Portland residents trained by PBEM and Portland Fire & Rescue to provide emergency disaster assistance within their own neighborhoods. NET members are trained to save lives and property until professional responders can arrive. These volunteers are specially trained to help others without putting themselves in harm’s way. So NETs are about neighbors helping neighbors. All over the world, after a major disaster, most people who require rescue — as many as 96% — are rescued by their neighbors and not by professional emergency responders like police or fire departments. 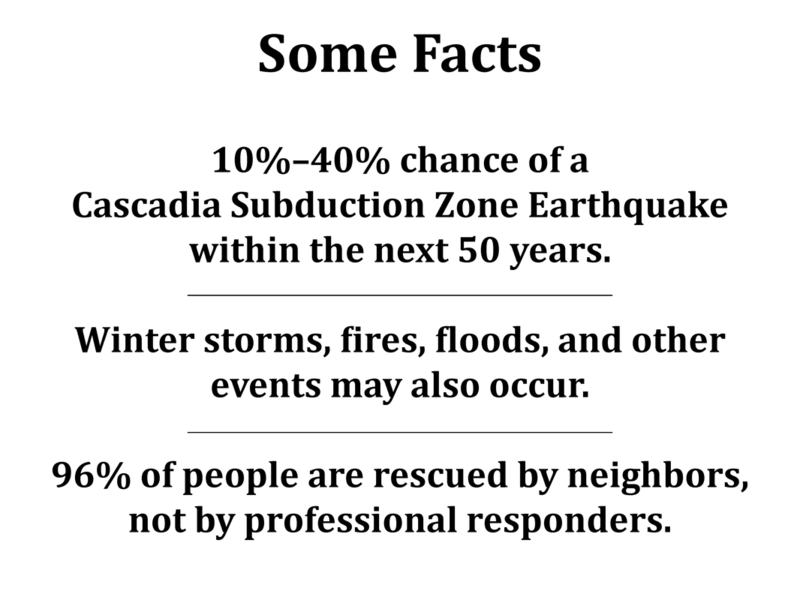 When we experience a Cascadia Subduction Zone earthquake, it could be as long as two weeks before professional help arrives. 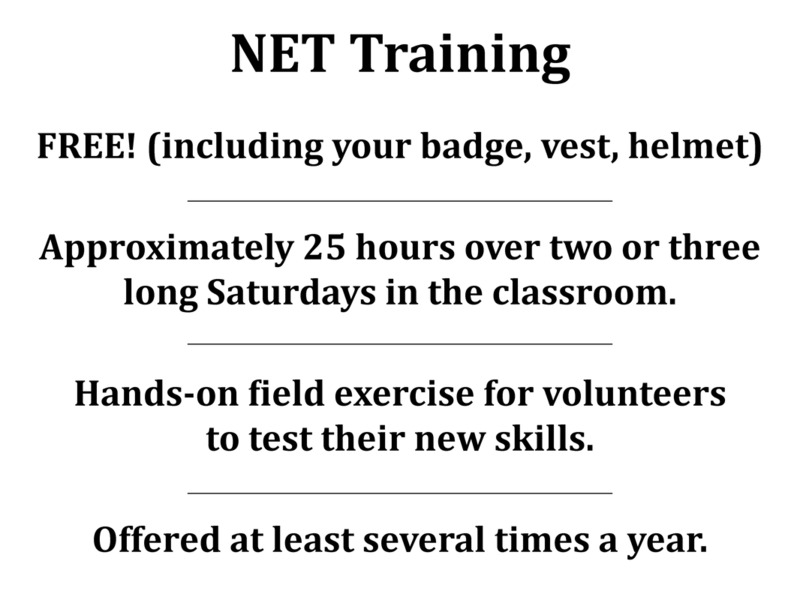 The NET program gives people the training they need to save lives effectively and safely in that scenario. 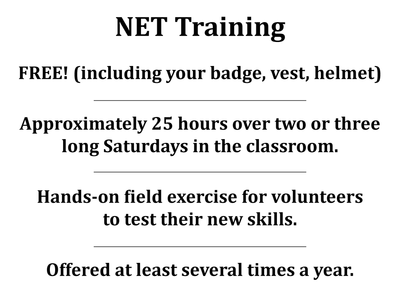 Training of NET volunteers by Portland Fire and Rescue is free. It takes approximately 25 hours and is generally completed over the course of two or three long Saturdays in the classroom, and concludes with a hands-on field exercise, during which volunteers put their new skills to the test. 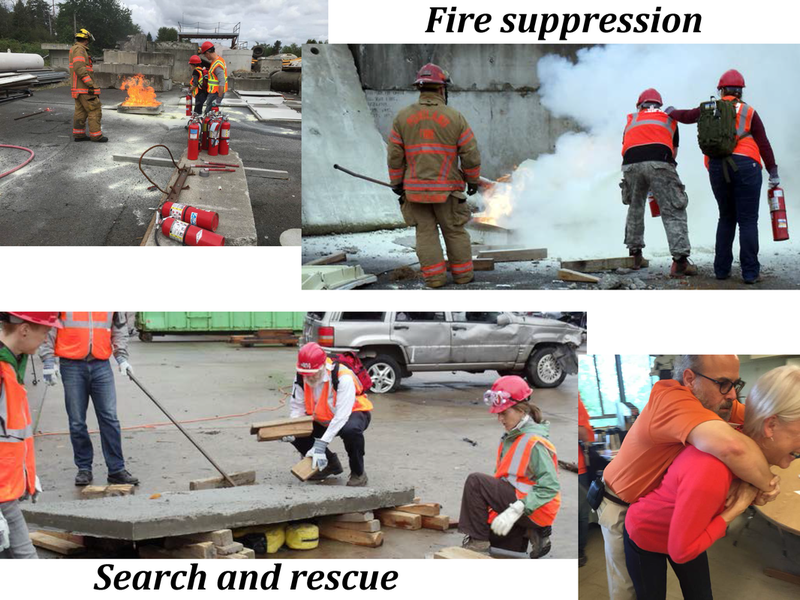 PBEM offers this training at least several times a year. 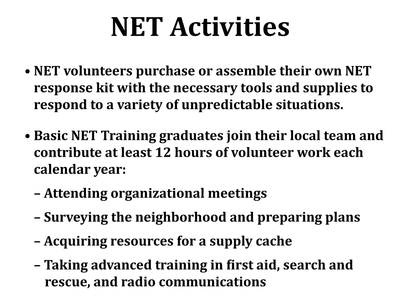 NET volunteers also need to purchase or assemble their own NET response kit with the necessary tools and supplies to respond to a variety of unpredictable situations. Many of you already own and use these kinds of tools and supplies. 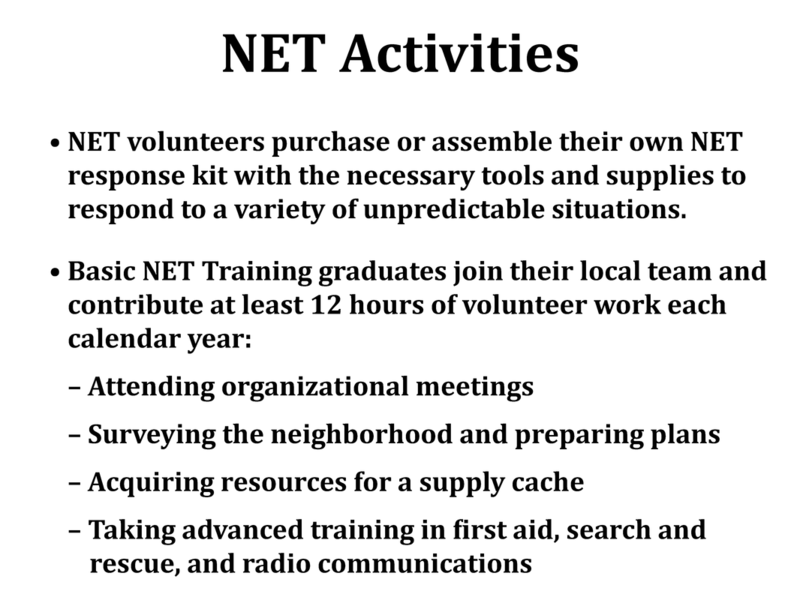 After completing the Basic NET training, volunteers are expected to join their local team and contribute at least 12 hours of volunteer work each calendar year. 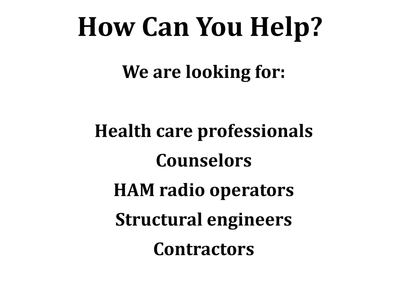 Those hours can be in the form of attending meetings, preparing plans, acquiring resources, and also taking advanced training in first aid, search and rescue, and radio communications. 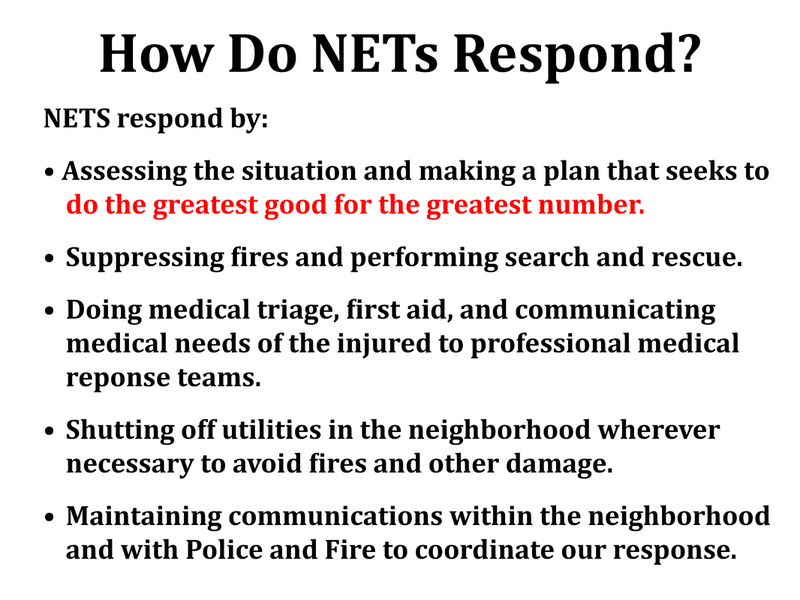 So how exactly do NETs respond in the event of an emergency? NETs assess the situation and make a plan that seeks to do the greatest good for the greatest number. NETs do search and rescue. They perform medical triage and first aid and communicate the medical needs of the injured to professional medical team responders. They shut off utilities in the neighborhood wherever necessary to avoid fires and other damage. They maintain communications within the neighborhood and with City Police and Fire to coordinate an effective response. 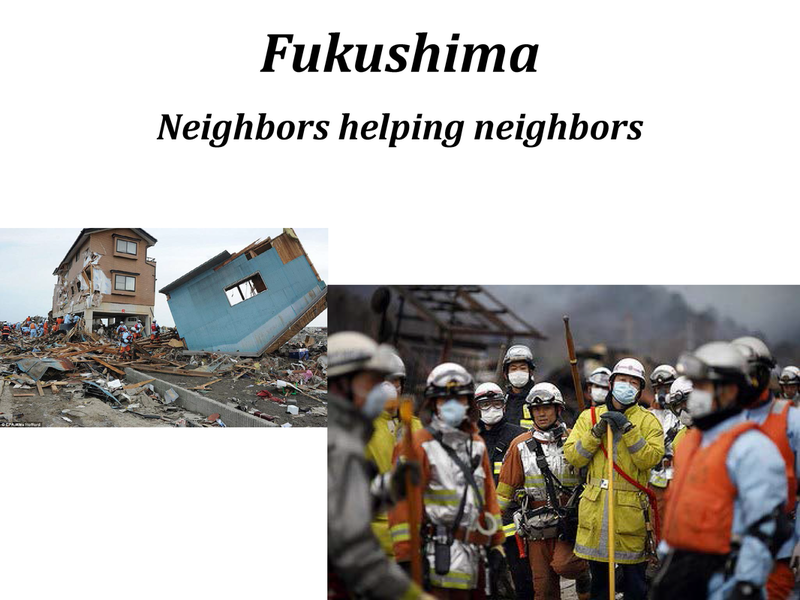 And they educate their neighbors how to prepare. WE REALLY NEED YOU. 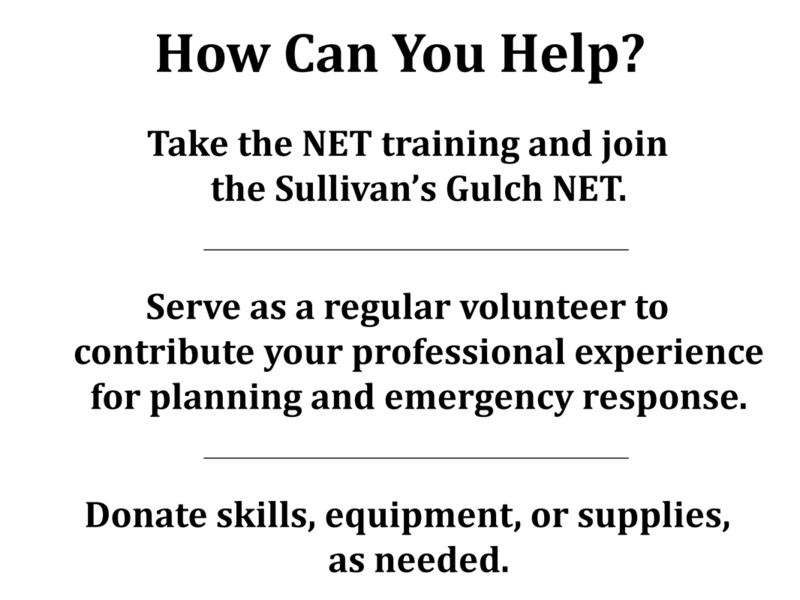 We have just formed a Sullivan’s Gulch NET and for an effective NET, the more volunteers the better. We have many roles and tasks to coordinate, so we encourage you to consider taking the NET training and joining our team. But How Can I Help Without Taking the Training? We know that not everyone is able to become a NET team member. So how can you help? First, all of us should seriously consider their own preparedness and come up with reasonable plans for your own household or business. A critical part of that plan is building an emergency kit with water, food, clothes, and temporary shelter for the time we may not be able to stay in our homes. If all of us have plans and emergency supplies ready, it will be much easier for our NET to assist the entire neighborhood in the event of an emergency. 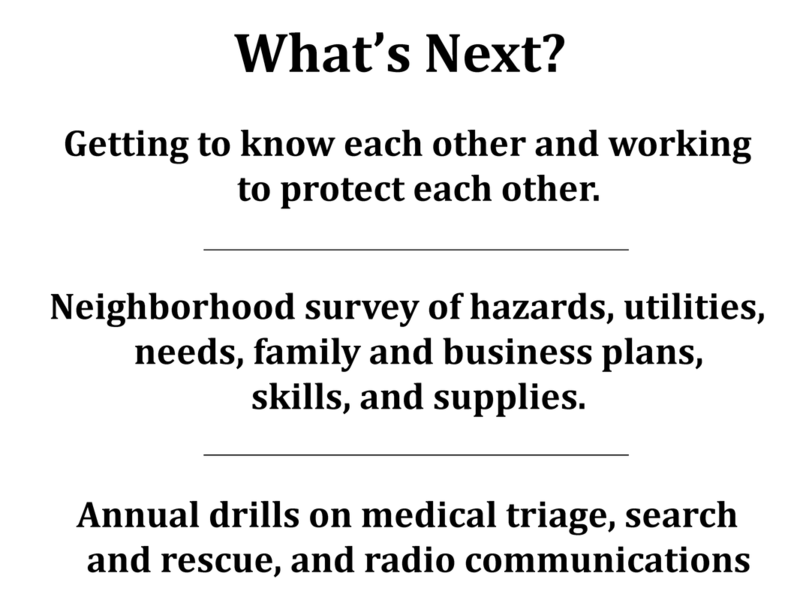 Many of us have specialized skills and professional experience that could be critical to saving lives, caring for the injured, and preventing further damage to property. 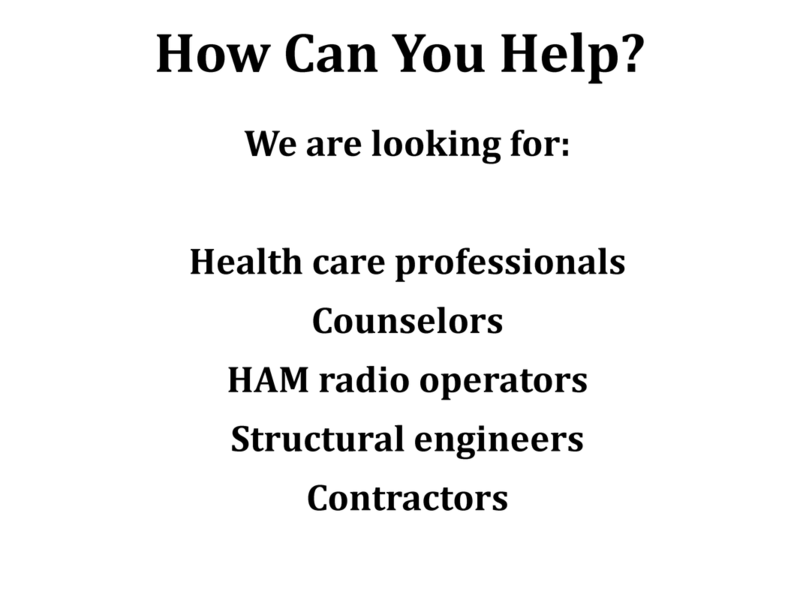 Health care professionals, HAM radio operators, structural engineers, and contractors are some of the types of professionals we really need. 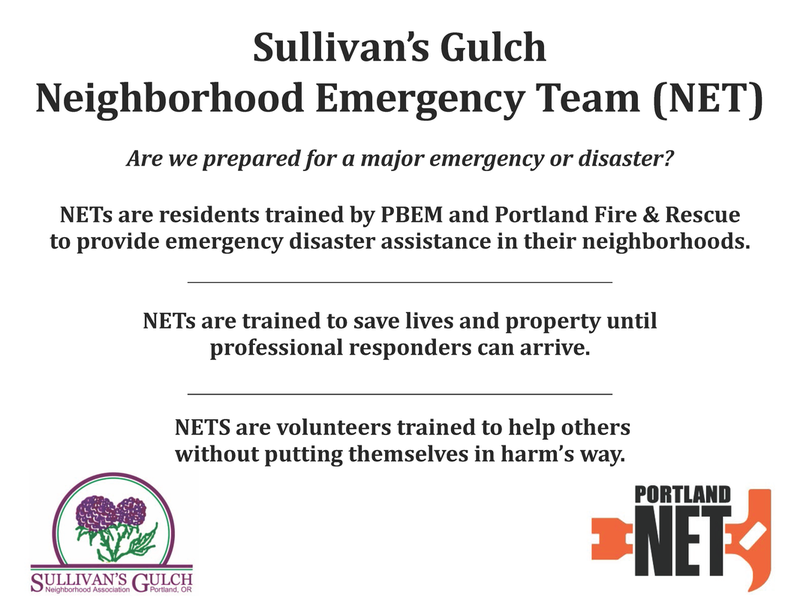 Even without taking the NET training, your experience would be a critical asset for our neighborhood in the event of an emergency, so we invite you to join our Sullivan’s Gulch NET to help us plan and respond effectively. Another way you can help is with donations of equipment and supplies that our NET will keep in a secure location. This supply cache is critical for our NET to implement its response plan. Equipment such as fire extinguishers, first aid equipment, HAM and two-way radios, camping equipment, chain saws, or generators are just some of the things we might need. 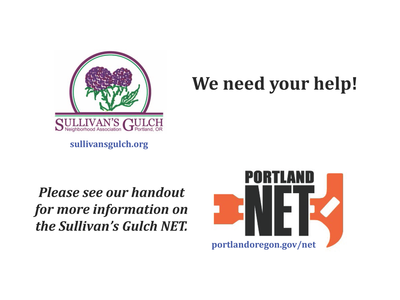 Very soon our NET will begin to survey our neighbors in Sullivan’s Gulch about their current levels of preparedness, any specialized skills they could offer, and any equipment or supplies they might like to donate. We need your help: your self-preparation, taking the NET training, joining our NET as a skilled volunteer, or any donations are all greatly appreciated. For more information on the NET program and what you can do to help your neighbors, please visit: portlandoregon.gov/net. It is also important to sign up with the City’s Public Alerts system to receive phone, text, or email warnings about emergencies occurring in our area. Please visit PublicAlerts.org to sign up. Earthquake Home Hazard Hunt — Graphically illustrates various hazards in a home and what to do about them. Two pages, PDF from FEMA. you need to be prepared. 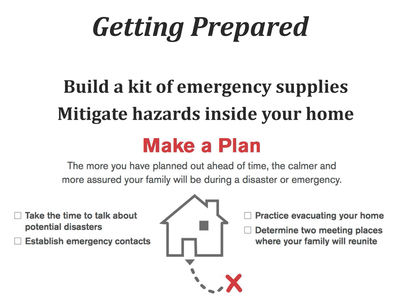 2 pages, PDF from Multnomah County Emergency Preparedness. How to make a two-bucket emergency toilet. New Yorker magazine article by Kathryn Schulz about the effects of “the big one” in the Pacific Northwest. It won a Pulitzer prize. July 2015. Oregonian articles about earthquake frequency in Oregon, 2015. Oregon Public Broadcasting TV documentary “Unprepared” website and streaming. Map of locations of emergency medical, shelter, community distribution, river landing sites in Portland. Oregon Public Broadcasting website shows projected damage for a particular zip code. NET Emergency Operations plans for various neighborhoods, including Irvington. State of Oregon statewide earthquake planning document. 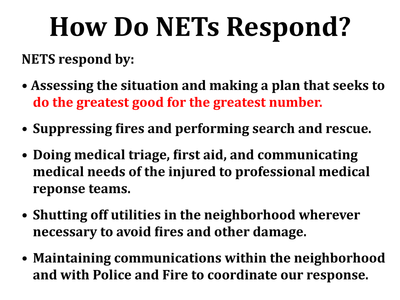 Please contact us if you wish to serve on our Neighborhood Emergency Team (NET).